Back when they were “Yellow,” it was Coldplay’s live show that really made me a fan. And after seeing their show develop over the years, its really become one of the best live large venue acts, making it fitting that they chose to document it as a concert film. 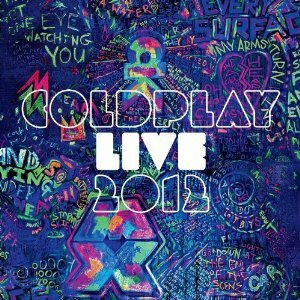 The 15-song soundtrack, entitled Coldplay Live 2012, was recorded during this year’s Mylo Xyloto tour, mostly in Europe, and features most of their well-known songs like “Clocks” and “In My Place” along with more recent tracks like “Every Teardrop Is a Waterfall,” their latest single “Up In Flames,” and “Princess Of China,” which features Rihanna. The soundtrack does a good job at capturing the band’s pretty intense live energy and while the variations on the songs are slight, they are certainly fun to listen to. There’s a really nice version of “Us Against The World” and the song I can never get out of my head once I hear it, “Paradise.” The album is a pretty good reflection on the band’s live show and certainly worth a listen.